With such a wide variety of tyre on the market, how do we know what to choose? Where do we get good advice? How do we know we are not paying too much… or which are safe? UK Tyre Law and EU Legislation protect the motorist in so far as what the manufacturer provides, but it is down to the motorist to ensure their tyres are consistently roadworthy. Tread depth and condition – the legal minimum is 1.6mm across the central ¾ of tyre and around the full circumference of the tyre. The AA recommends 3mm in adverse weather conditions. Tyre Pressure – is crucial for your safety and the longevity of your tyre. Without the correct inflation there is a decreased grip on the road and increased braking distance damaging your tyres and wheels. Check the tyre pressure whilst the car is cold as hot air increases the pressure and will give an inaccurate reading. If carrying a heavy load, adjust the tyre pressure accordingly. Check for Damage – Check for cracks, cuts, tears or irregular wear to the tread or sidewalls which can lead to slow punctures or cause the steel wires within the tyre to rust. Safe Driving – You are twice as likely to have an accident in wet weather as in the dry. 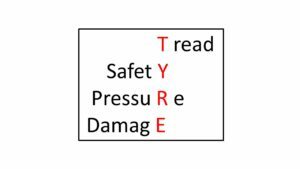 The stopping distance of a tyre with 1.6mm of tread is double that of a new tyre with 8mm. If you are unsure, contact an expert for advice. There are many types of supplier, so make sure you compare like for like and ask for a fully inclusive price for the tyre, valve, fitting, balancing and VAT. Ensure you are aware of any hidden costs such as the disposal of your old tyres. The tyre size is visible on the rim of your tyre in one of two formats: 165 R 13 79T or 185/60 R14 79H. 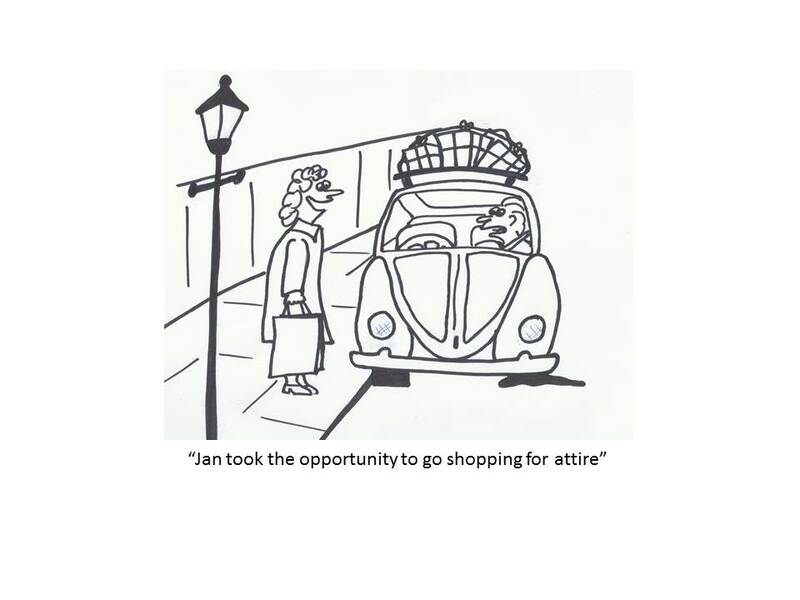 Be ready to quote this when you call your supplier. How does your local garage help? The experts can help in many ways from helping you choose the best tyre for your car to conducting wheel balancing and alignment to ensure you get the best out of your tyres. Wheel Balancing – ensures your wheel has an equal distribution of weight whilst it is turning. A computerised electronic wheel balancer measures the extent of the imbalance and weights are placed on the rim. This helps the tyre maintain contact with the road. Without this it can cause the steering to vibrate compromising your steering and breaking. If left unrepaired, it can damage your suspension, wheel bearings and steering components. Alignment/tracking – The AA recommend checking alignment every 6,000 miles or when tyres or steering components have been changed. Cars have a set steering track setting which is compromised with normal wear and tear or when hitting a kerb or pothole. If this is left, tyre wear can become rapid. Look for inner and outer uneven wear. Valves ensure that your tyres are constantly inflated. Garages will check it isn’t worn or damaged and remove any dirt or grit as it can reduce the life of a tyre. 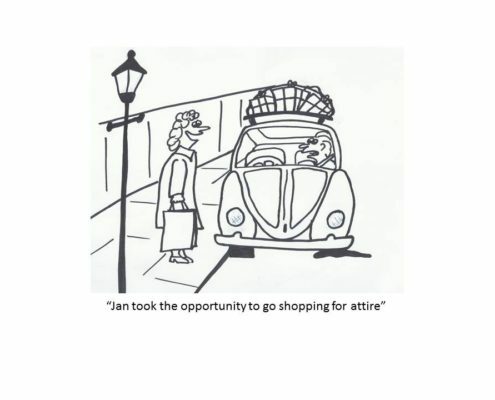 Diligent garages will replace them. How do I decide on brand of tyre? There are many different types of brand. Some stick to what they know, others go by the cheapest possible. EU Tyre Labelling Legislation has enabled objective, reliable and comparable information to be available making comparisons easier. Fuel Efficiency –When a tyre rolls it deforms and dissipates energy. The energy lost is called rolling resistance which directly impacts on fuel consumption. The higher the rating, the greater the saving! Wet Grip – Rates the shortest braking distance in wet weather – ensuring your safety. 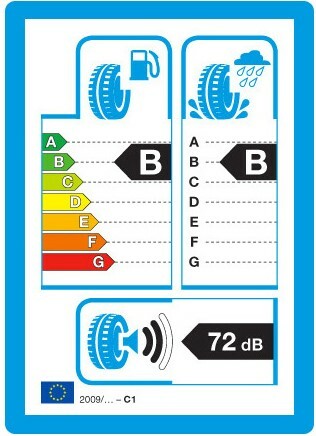 Exterior Noise – Measured in decibel (dB) and denotes the sound levels emitted from your tyres when in use. It is measured in 3 bars. Future legislation dictates that there will be a minimum of two bars (one being the highest). What are the alternative tyres about? These are designed to be able to get you home in the event that you have a puncture. Their unique compound also reduces the dangers of potential blowouts. Drivers are most likely to have an accident from October to March. In temperatures below 7 degrees centigrade, normal tyres stiffen and their grip on the tarmac is greatly reduced. The compound in a winter tyre enables it to flex and retain grip on the road. It also has a different tread pattern allowing the tyre to bite into snow and ice giving interlocking grip. However, these are much less efficient in summer months. 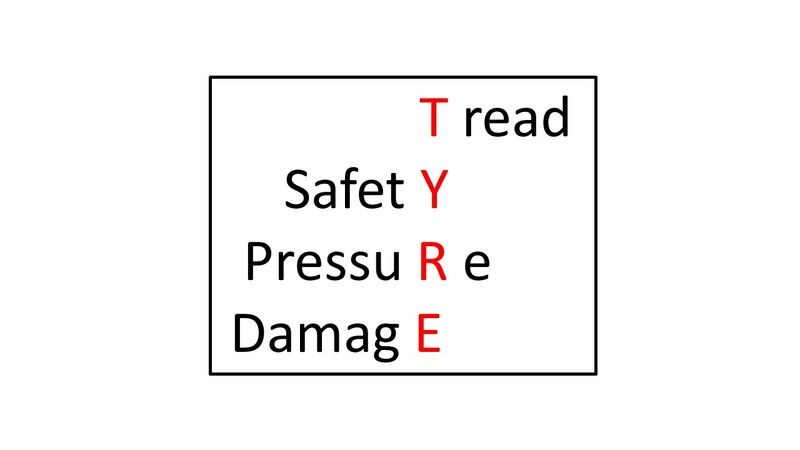 Although there is tough legislation around part worn tyres, there has been much research indicating that retailers do not conform to these basic safety standards with many being sold that are unfit for purpose. 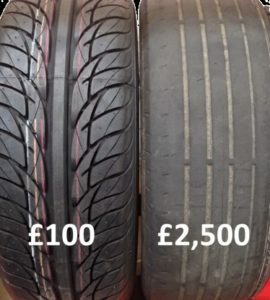 If you are tempted by the lower price of Part Worn Tyres, you should check that they have been stamped by the supplier indicating that they are part worn and fit for purpose. It also serves as certification that they have carried out full inspection as legally required. So, which tyre would you choose?! Don’t compromise the safety of you, your family, or others. If you are caught with unsafe tyres, you can be fined up to £2500 and receive 3points on your license…. PER TYRE! Some risks aren’t worth taking. Keep safe this Winter and come and talk to the experts. We have Budget to Premium tyres at competitive prices… and if you bring this book with you, we will give you a complimentary 4 Wheel Alignment Check!